It's been quite a week and I'm just getting back into the swing of my own work. Thank you to everyone who has left comments here, on twitter and facebook both the encouragement and the sharing in our rage and disappointment is really appreciated! We've started unpacking and setting up our work areas again and I've started tidying up my shops. 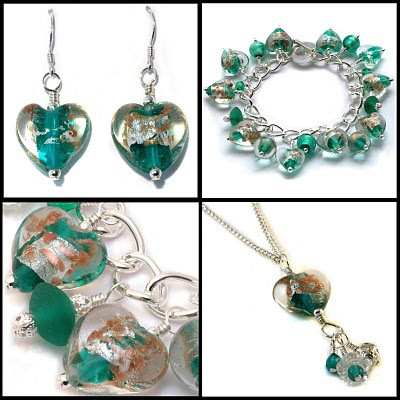 New additions include a pair of teal heart earrings and a necklace to match the charm bracelet mainly because I do love teal!